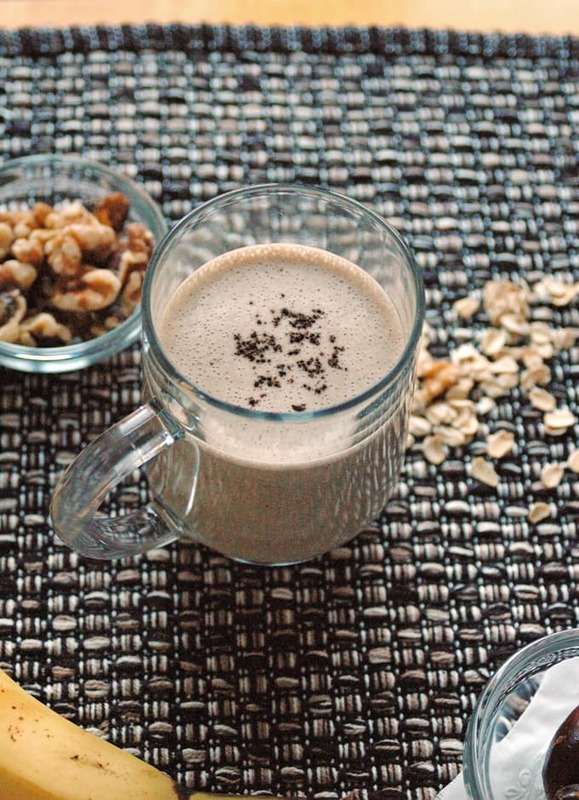 This Espresso-Banana Morning Smoothie is a delicious beverage that’s vegan and gluten free! If you love coffee, this is for you! I enjoy it for breakfast after my workout. 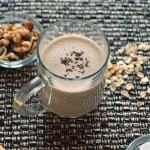 Espresso-Banana Morning Smoothie. Isn’t that the most glorious title? It is if you’re addicted to coffee like I am. And not any watered-down stuff. I’m talking about rich, smooth, full-bodied espresso. The kind with the swoon-worthy aroma that makes you inhale deeply and give thanks for one of life’s simplest but splendid pleasures. I don’t know about you, but I find solace knowing that no matter what I’m dealing with, every morning the sun rises and the coffee brews. It was only a matter of time before I blended my daily smoothie with my favorite flavor. It’s so good! 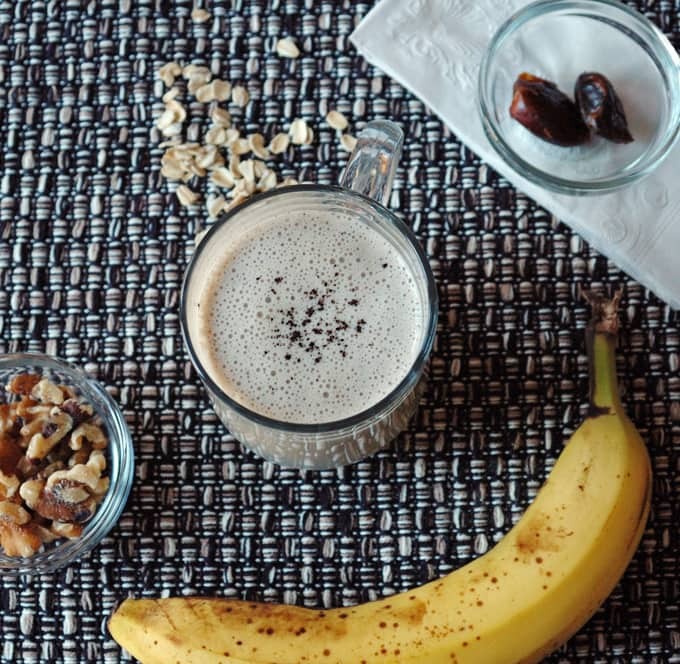 I use a banana, walnuts, oats and ground espresso blended with almond milk and sweetened with a pitted date, although you could use whatever sweetener you prefer. I add just a teaspoon of the ground espresso, but find that it lends far more flavor than brewed coffee, which just waters everything down. I don’t keep espresso beans in the house, but if you do, I’d throw in a couple instead of the grounds. 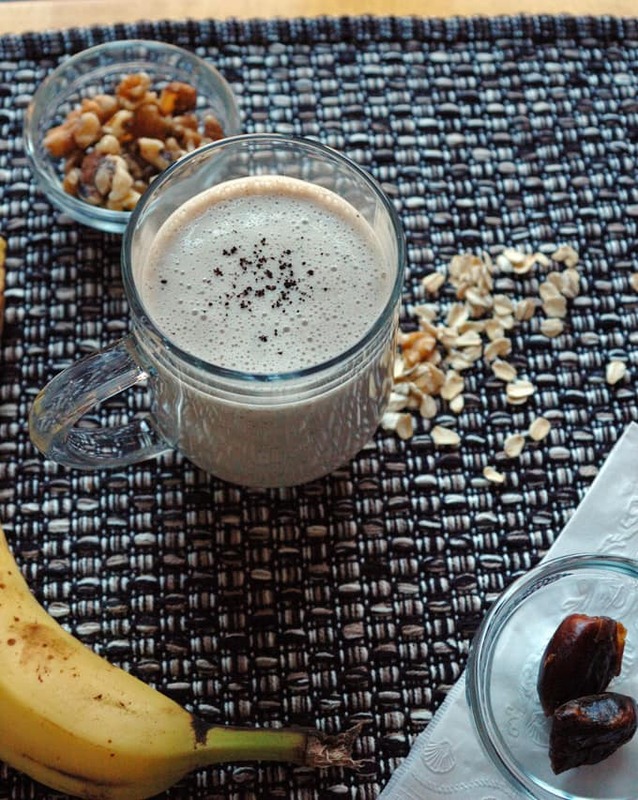 If you’re a hard-core coffee fan, you need to try this Espresso-Banana Morning Smoothie. It’ll definitely charge your engine and get things moving, if you know what I mean. P.S. If you’re wondering how I make my espresso, I actually use a filter basket in my Keurig. I fill up the little basket with ground espresso and brew a 7-ounce cup, then add milk and Stevia to it. A bit uncoventional, but really delicious. Note that the grounds can’t be too fine, or they’ll clog up the machine. Starbucks espresso works great, but Lavazza does not. A refreshing way for coffee-lovers to get started in the morning! Vegan and gluten free. Add all ingredients to a blender and mix until smooth, stopping to scrape down the sides of the container if needed. Ok, alright I am in-love it!!! Me too, Cheryl. I just need to buy more bananas! Have a great weekend. I cannot wait to make this! I have everything I need to treat myself this afternoon! Can’t wait!